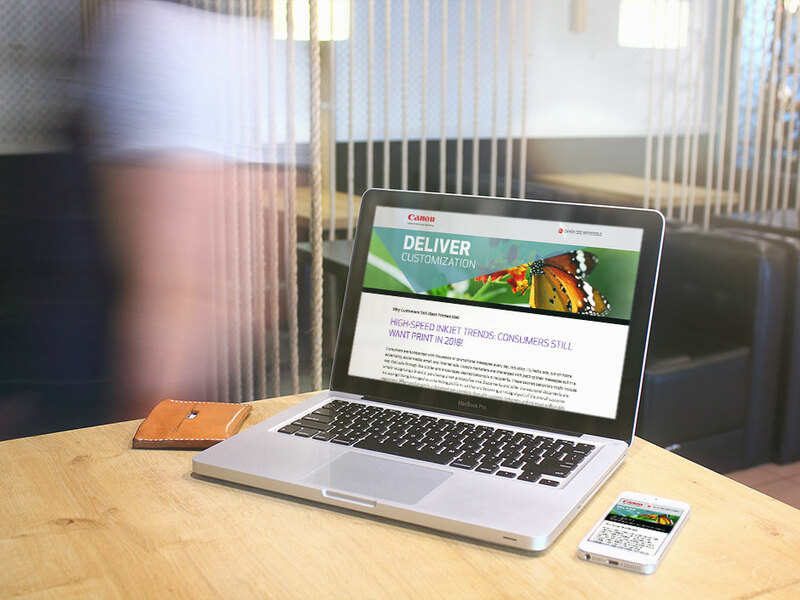 Visual and written content in both the email and landing page must be readable in desktop and mobile formats. It’s important for the audience to be able to access the information and interact with the content in multiple formats. We are then able to collect data on each segment, track progress across each quarter, and provide Canon Solutions America with a comprehensive view of the campaign’s success. 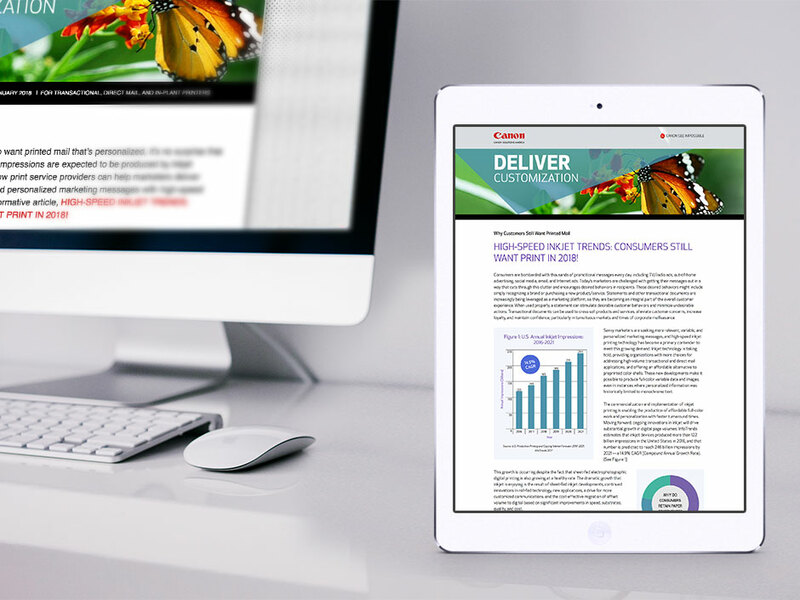 We design, write, and build monthly enewsletters and landing pages sent to Canon Solutions America’s three major markets: commercial printing, book printing, and transactional and direct mail printing. 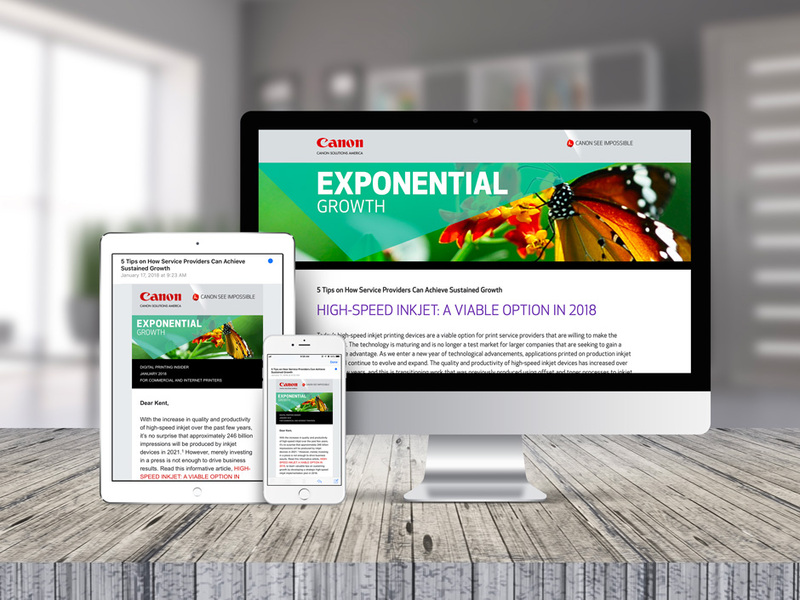 The emails vary in length and are specifically tailored to the recipient, showcasing the products, services, and resources available to Canon Solutions America clients.